Dr. Dale Guyer has helped people in all “walks of life”, including aerialist Jamie! Jamie has been a dancer since the age of 3. It is her passion. When psoriasis entered her world, along with some other health issues, she wasn’t able to do much of anything. Her thyroid and adrenal function had diminished, she gained 40 pounds, and her once vibrant level of energy seemed to vaporize. 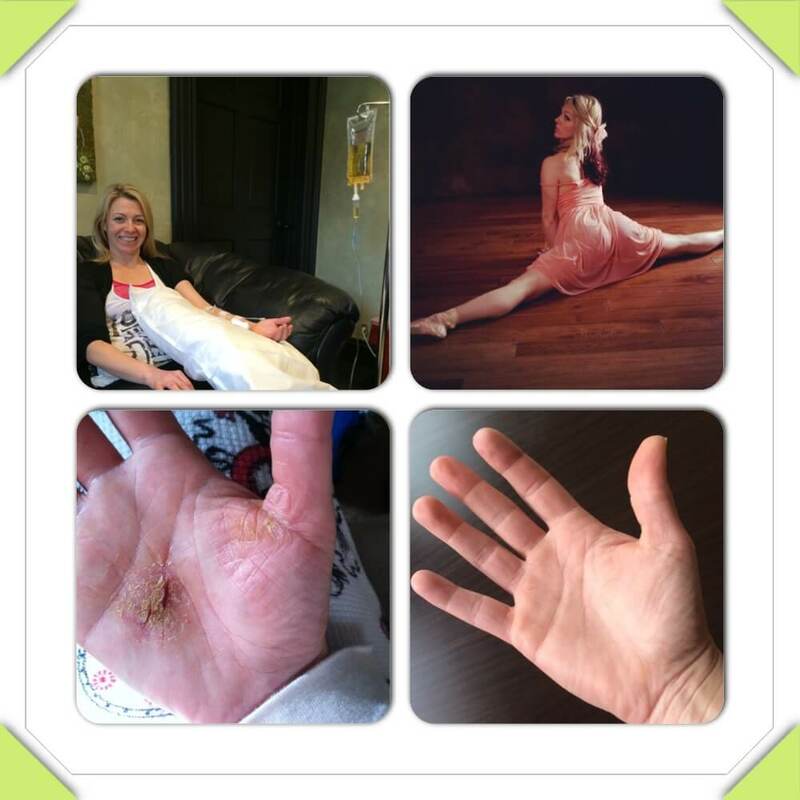 As her psoriasis worsened Jamie stated, ”I was unable to sustain work as an aerialist, as the added 40 pounds and bleeding hands made it impossible. An even bigger frustration was the struggles I was having raising my son. I could not help dress him without my hands bleeding. The issue became so intense that it became hard to turn a door handle or open a bottle of water. I was feeling desperate to find healing so I could just function with daily responsibilities and hopefully return to aerial dance training. I had been to multiple doctors – an Endocrinologist for my thyroid, a Dermatologist for my psoriasis, and others for my weight gain and fatigue, but nothing helped! I was eating clean and exercising consistently, and my body was not responding. I was puffy and could not lose even a single pound. And I still had all these other issues. I had no energy whatsoever. I heard about Dr. Guyer and how his focus was to understand the ‘root causes’ of my problems. I have now lost the 40 pounds, have energy that I’ve never had before, and the scabs that had been over my entire body are gone!” Jamie is now able to once again participate in her passion as an aerialist with no restrictions, and continues with IV Vitamin Therapies to maximize her potential. Whether you have complex health issues such as Jamie, or just wish to feel your very best, it is the goal of Dr. Guyer to maximize your internal biochemistry to help you live longer and more vibrantly!